When July ends, so will the year-old Renegade Writers' Collective, the Burlington-based group that has offered all manner of literary services to writers. 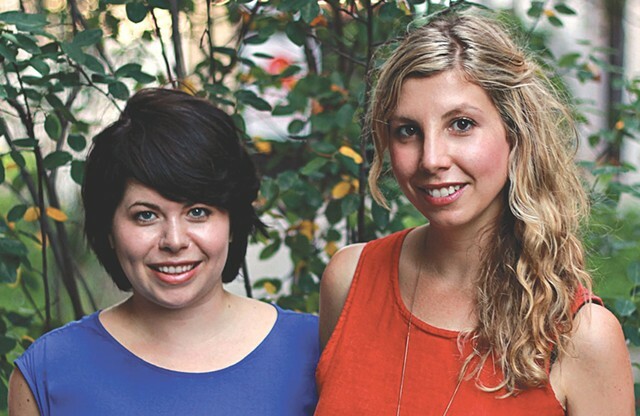 Cofounders and co-owners Angela Palm and Jessica Hendry Nelson are proud of what RWC has accomplished, they say, but decided that the time had come to focus their literary energies in different places. Palm calls RWC "a big experiment with a lot of different components," and, indeed, the organization has been ambitious. It's offered coaching and editorial services for writers, sponsored a quarterly reading series, and hosted a book club and writing contests, all in the name of fostering a literary community in the Burlington area. The decision to shut down the collective had been brewing for some months, say Nelson and Palm. "We found, over the course of the year, that working independently with writers is what excites us most," says Nelson, noting that consulting with writers was the RWC's most successful program. Both Nelson and Palm elected to close the RWC and spend more time developing their own, independent editorial-service endeavors. "It was a slow process, coming to this decision," Nelson adds. "When we made it, it was the right choice for both of our sanities." Nelson, 30, an adjunct professor of writing at Johnson State College, will take on teaching duties at Burlington College, and is both managing editor and nonfiction editor at Green Mountains Review. She'll consult with literary clients on a freelance basis. Palm, 32, who has published with Shelburne's Wind Ridge Books, will now help that company to market its new poetry imprint, Sun Ridge Books. She'll also continue to work one-on-one with writers under the new banner of Ink + Lead Literary Services. Both women somehow also find time for their own writing. Logistical considerations played a role, too, in RWC's closure. The rent on its large downtown office began to affect the collective's bottom line. Palm's new lit agency will continue to operate out of the Karma Bird House building, but from a substantially smaller office space. Though RWC is, as Palm puts it, "already kind of dissolved," several of its programs will live on. The organization will continue to lend its name to an open-mic series, and another installment of the quarterly reading series, prefaced by a "literary social hour," will take place at ArtsRiot this Thursday, July 24. RWC will also honor its commitment to cosponsor, along with Burlington's Phoenix Books, a 750-words-maximum writing competition to take place at September's Burlington Book Festival. "It's important for us to keep those things," says Nelson. "The 'community stuff' has just been such a boon to our creative work and our personal lives and, I think, the community, too." Both Palm and Nelson have professional and friendly relations with the Burlington Writers Workshop, says Peter Biello, the workshop's lead organizer — in fact, the RWC cofounders met at a BWW event. Nelson was nonfiction editor and Palm the fiction editor for the self-published volume The Best of the Burlington Writers Workshop 2013. Biello does not think that competition with his group drove the RWC to close its doors, he says, citing the existence of other, similar groups with local roots, such as the League of Vermont Writers and the Young Writers Project. Palm says that, though it is shutting down earlier than expected, the Renegade Writers' Collective has been a success. "We've gotten connected with a community that we'd envisioned, and that we got to know on a personal basis. We made exactly what we set out to make: a really strong literary community. Now that we all finally know each other, we can continue these relationships." The original print version of this article was headlined "Burlington's Renegade Writers Go Out With a Bang, and a Reading"